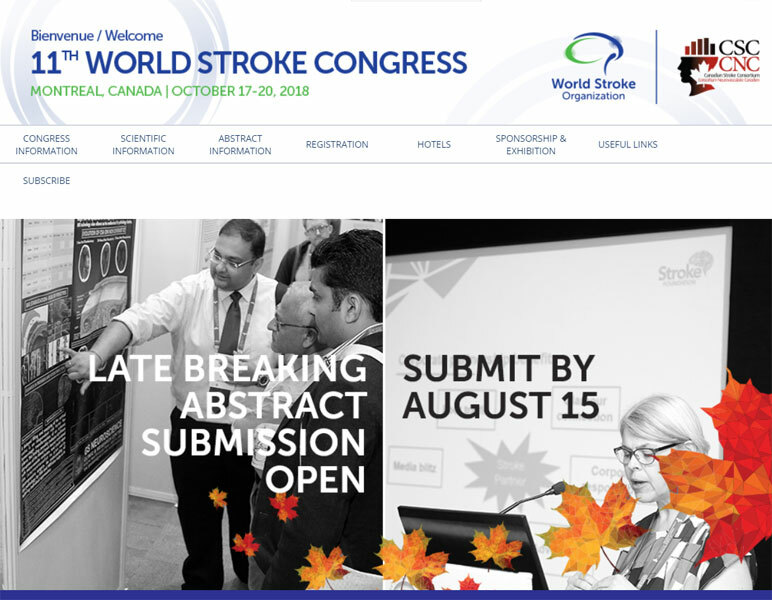 On behalf of the 11th World Stroke Congress (WSC 2018), I would like to inform you that the Late Breaking Abstract Submission is now open. This year the abstract submitters have a variety of options to present their work. Top abstracts may qualify for a plenary lecture. The deadline for submission is August 15th. Share this opportunity with your members so that they can submit their research on time and get valuable exposure at this prominent stroke event. The World Stroke Congress 2018’s late-breaking abstract submission is now open. Don’t miss this last opportunity to be part of this year’s program! Share your work now, and get valuable feedback from colleagues and leaders in the field, opportunities for collaborations and ideas for future research. Review the topics and the guidelines, and submit your abstract today. The deadline for submission is August 15. Find all the information here. Please let me know if you need any additional information or materials. Thank you for your contribution to the fight against stroke!